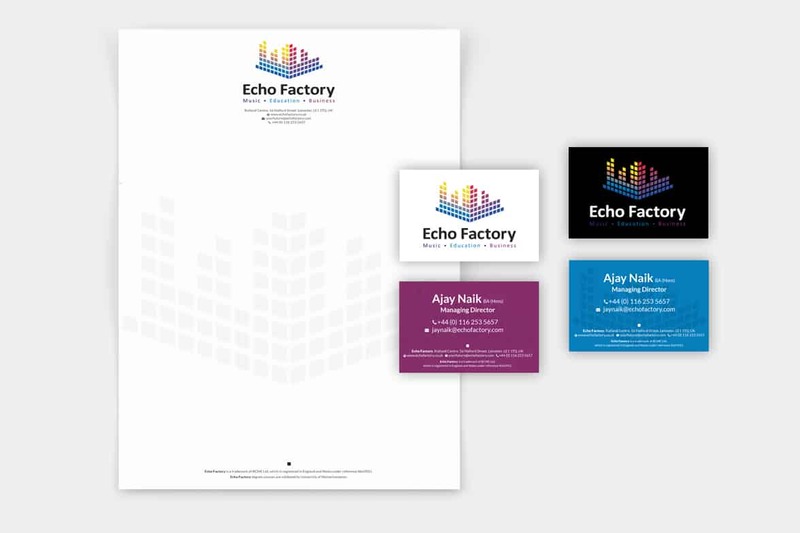 We where asked to create a modern dynamic brand identity and Website that would convey and promote the Echo Factory vision. 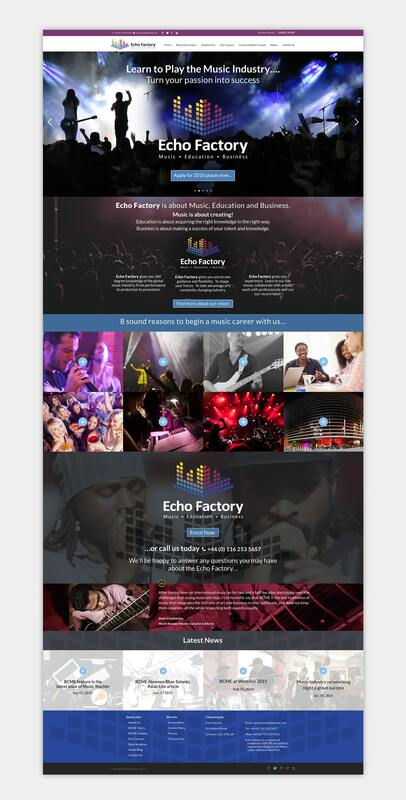 Echo Factory was created by musicians for musicians. To provide the highest level of professional music training. 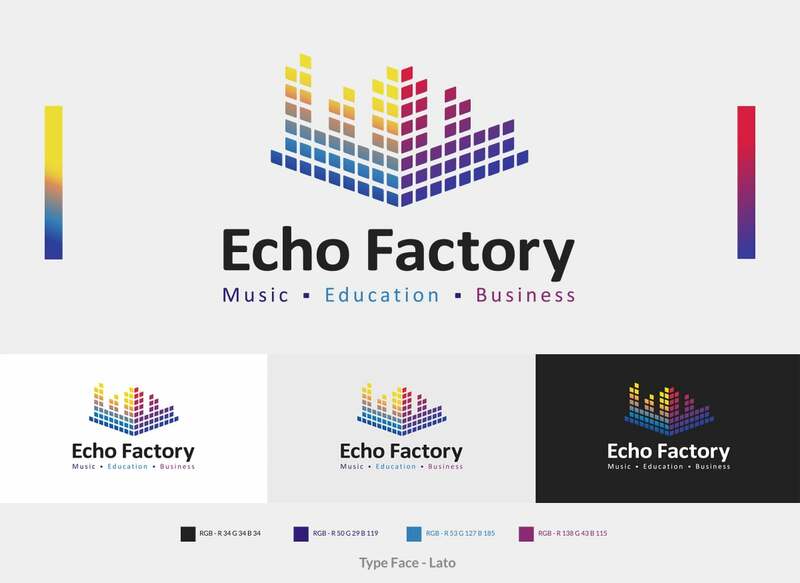 First of all we create the identity, taking the concept of a Graphic Equaliser we used the E and F from the name ‘Echo Factory’ to create a colourful shape to represent a building or factory. 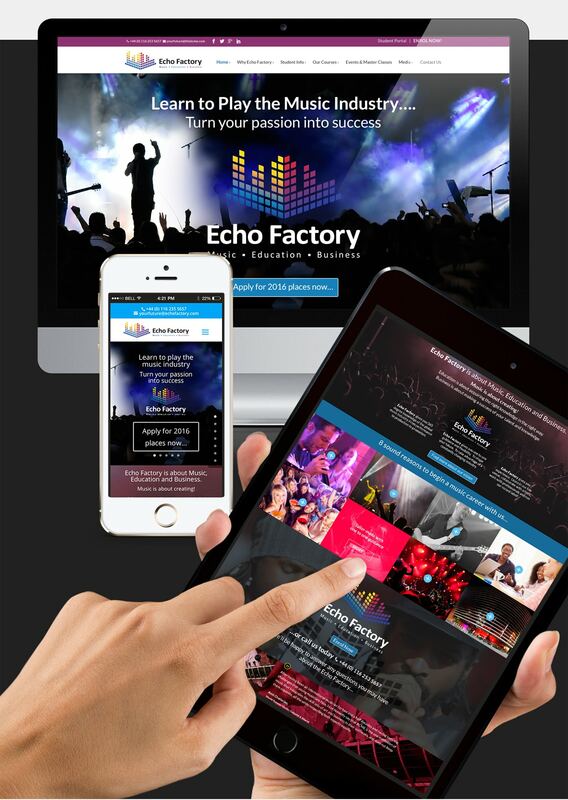 Taking the key words from what the Echo Factory offer we created a strapline ‘Music Education Business’. We then Designed a fully responsive website and applied the finished design to the Divi. WordPress theme.